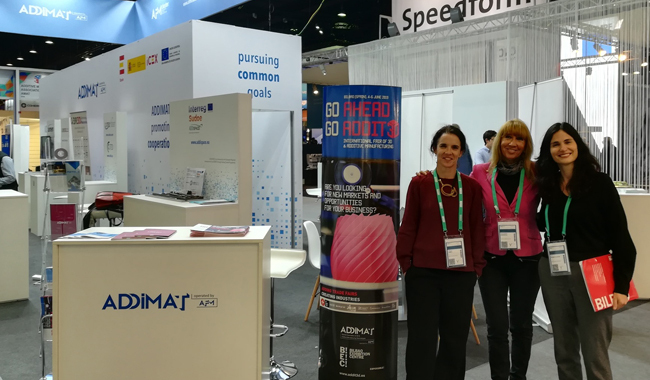 The celebration of FormNext in Frankfurt this week is being the starting point for the international campaign of ADDIT3D 2019, which is preparing to face its 4th edition by expanding its exhibition offer with new firms, also foreign ones. In the spotlight of its commercial strategy are the German, Italian, Swiss and French companies, leaders in additive manufacturing and 3d. Thus, the organizing team of ADDIT3D has presented the exhibition in different meetings with the aim of strengthening the brand and creating new networks in the areas of exhibitors, visitors and communication. In Spain there is a large network of SMEs that are beginning to introduce this technology in their manufacturing processes and large groups that work at the highest level, especially in the aeronautical, automotive and medical-prosthetic sectors, which offers interesting perspectives of business for foreign companies.